SEOUL -- South Korean researchers developed a new interface technology by using a touch sound positioning system and a smartphone or a tablet PC to create virtual keyboards for desks, furniture and walls. It allows touch input with only three or four microphones installed. 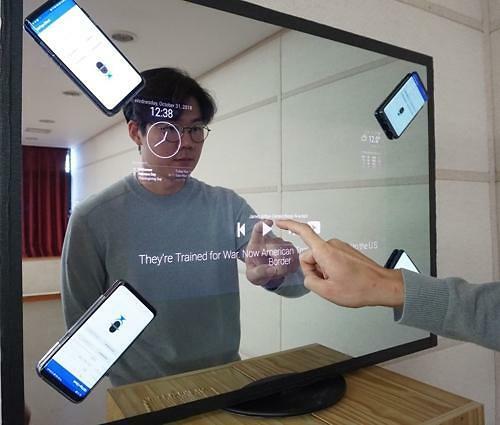 The state-run Korea Advanced Institute of Science & Technology (KAIST) said Thursday that the new system developed by its research team needs a simple adjustment within ten seconds, unlike traditional touch input location technology that takes hundreds of seconds. It is important to consistently provide input in various environments and users should be able to utilize different material objects as touch input tools each time, the institute said. Researchers analyzed how the sound of a collision that occurred when a user touched an object with his fingernail was transmitted through the solid surface. When it is transmitted to the solid surface, the "dispersion" phenomenon causes a difference in sound arrival time by frequency and the gap increases in proportion to the sound transmission distance. Researchers recorded the touch sound transmitted through the solid surface on smartphones to ascertain the relationship between the difference in sound arrival time and the sound transmission distance. 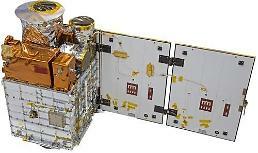 The institute said the new technology showed a measurement error of less than 0.4 cm on average on a 17 touchscreen. The error did not exceed 1cm in various kinds of objects such as wooden desks, glass mirrors and acrylic boards. Radio wave signals can produce a great margin of error and can be affected by many variables. A positioning system using sound waves provides the location of a user carrying a dedicated terminal or any portable equipment possessing a microphone and a speaker in real time by using sound waves propagating in slow speed in various indoor spaces where GPS signals are not received.